Well, it looks as if all signs point to waiting to upload my video until next Sunday. Thank you for all of your input in last night’s post. As Eric said, sometimes it is best to keep things under wraps. ;) The great news is that my post is completely finished and all I have to do next Sunday is hit ‘publish’. Thanks for your support and patience in waiting for the reveal of my video. I’m reeeeeeally excited for next Sunday and can’t wait to show you. 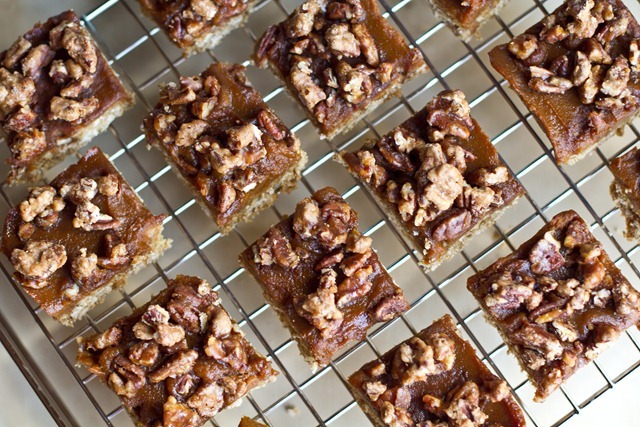 This weekend I made Pumpkin Butter Oat Squares with Candied Pecans. I have been wanting to make this variety for a while now and I finally made a new batch of pumpkin butter just for this occasion. This recipe involves a lot of steps so you can make the pumpkin butter and candied pecans ahead of time if you prefer. Directions: Preheat oven to 275F. Line a square pan (I used a 9×9) with parchment paper and oil the sides of the pan and base. 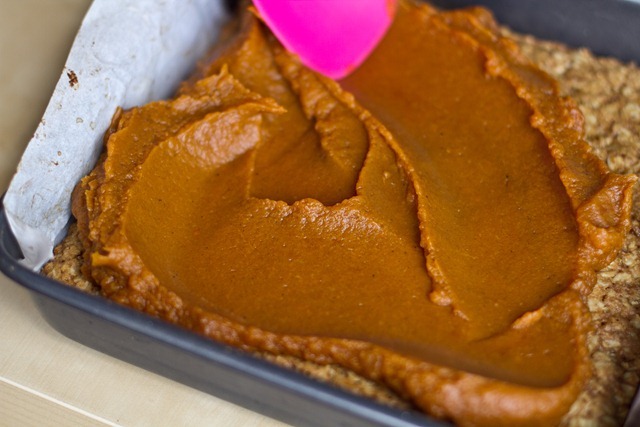 In a medium sized pot, prepare the pumpkin butter. Once cooked, remove from heat to cool. 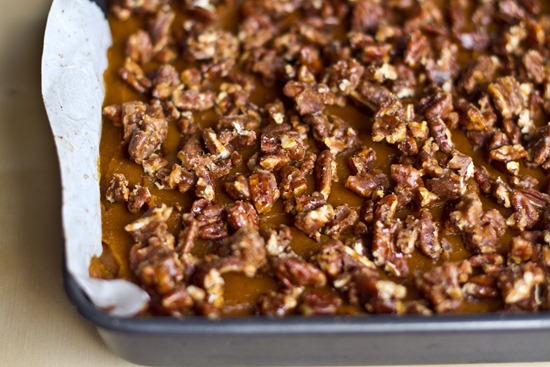 Next prepare your candied pecans while the pumpkin butter is simmering. See below for recipe. When finished, set aside. Now preheat oven to 350F. In a small bowl, mix the chia or flax egg and set aside. In a large bowl, mix the oat base dry ingredients: oats, flour, Sucanat/brown sugar, baking soda, salt. In a small bowl, mix the melted earth balance, maple syrup, almond milk, vanilla, and chia egg. Stir well. Add the wet mixture to the dry and mix well, using hands to mix well. 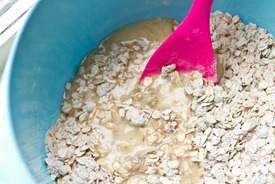 Set aside 1/2 cup of the oat base mixture if desired (I didn’t in this recipe, but I probably would next time). 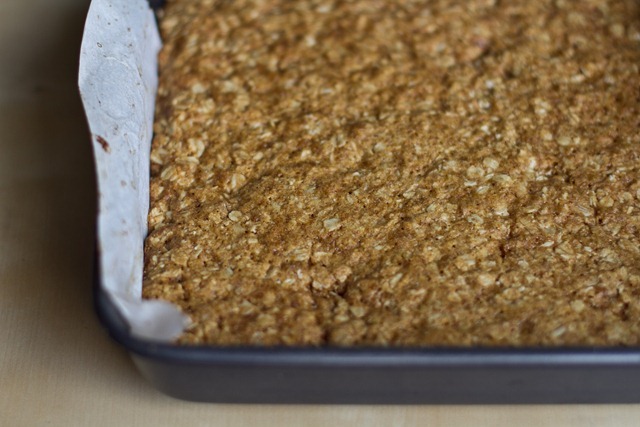 Pour the oat mixture onto the square pan and press down with fingers. Use a pastry roller to smooth out if desired. 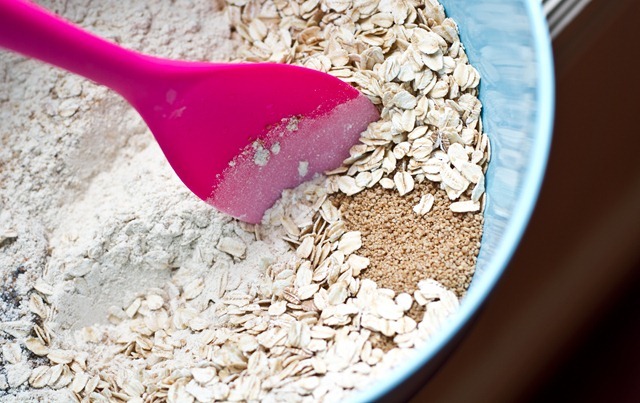 Pre-bake the oat base at 350F for approximately 15-18 minutes. 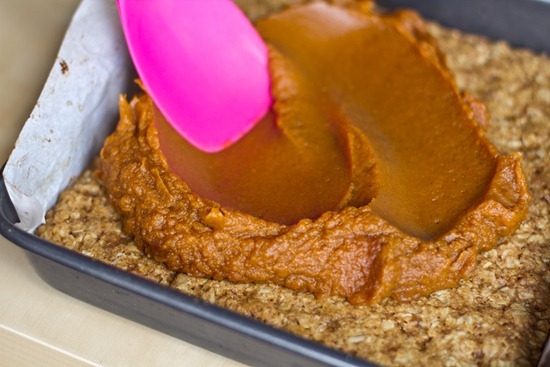 Remove from oven and pour on 1.5 cups cooled pumpkin butter and smooth out with spatula. Now sprinkle on the reserved 1/2 cup oat mixture and 1 cup candied pecan topping over top of pumpkin butter. Bake at 350F for another 8-10 minutes. Allow to fully cool on counter for about 20 minutes and then in the freezer for at least 30-50 minutes before gently removing from pan and slicing. 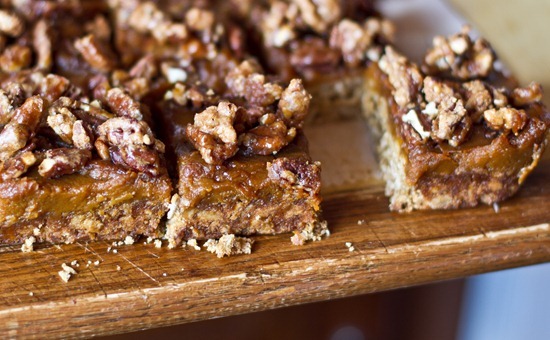 Baking notes: These bars taste better the next day after the flavours have developed and the moisture from the pumpkin butter has moistened the crust. Store in fridge for up to 1 week. I used spelt flour this time and I think it resulted in a more crumbly base, so I’m not sure I would use spelt flour again. Directions: Preheat oven to 275F. Add 1 cup of chopped pecans on a baking sheet and toast for 8 minutes being careful not to burn. Remove from oven and place in a large bowl. In a medium sized pot, add all ingredients (except pecans!) and heat over medium stirring well to blend. Bring to a boil and reduce heat to low-medium to simmer. Be careful not to burn. Keep stirring the mixture for about 10 minutes until it gets thick and caramelizes. Once it has thickened up remove immediately from stove top and pour into bowl with pecans. Stir quickly being sure to coat all the pecans. This is a very quick process and it is essential that you not leave the syrup mixture sitting for any amount of time or it will harden. Much better than my walnut attempt. Now make your oat base! I pre-baked the oat base for about 15-18 minutes before layering on Pumpkin Butter and pecan topping. I did this because I wasn’t sure if the crust would harden up if I baked it together with the pumpkin butter because the pumpkin butter has so much moisture in it. If anyone tries baking it all at once let me know how it works out! After pre-baking, spread on 1.5 cups cooled pumpkin butter. You could also use store bought pumpkin butter too. Bake for another 8-10 minutes and then cool for about 20 minutes on counter. Place in freezer for at least 30 minutes before removing from pan and slicing. The squares are good after baking, but they are soooooo much better the next day once the flavours have had a chance to mingle and the moisture from the pumpkin butter has moistened the base. 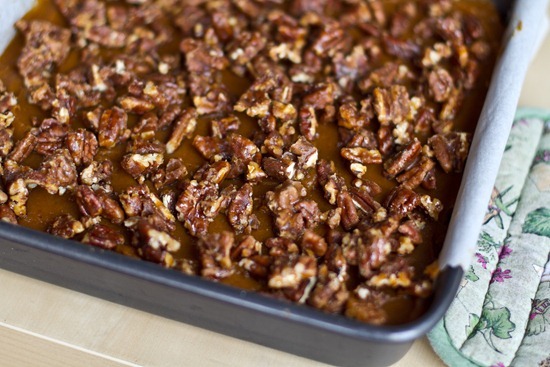 The pumpkin butter topping isn’t overly sweet (you may want to add more sugar when making the pumpkin butter), but the candied pecans give it a bit of sweetness and also a nice crunch. I made these as a thank you gift for a friend and it is taking all of my power not to eat them! Anyone else forget about the time change today? I didn’t realize the time changed until about 11am and I have yet to change my clocks! I embraced the extra hour in the day by catching on the phone with OSGMOM. I also had a beautiful 4 mile run. The weather is gorgeous today and it was just the perfect day to get outside and clear my head. What did you do with your extra hour today? I will see you tomorrow morning for a quick and easy dinner recipe inspired by a fabulous restaurant dish I enjoyed on Friday night. When I said that your last version of squares was the best ever, I lied. These are the best ever. I promise not to retract that statement no matter how good the next batch looks! Looking forward to your video upload next week. Just don’t wait until the last minute to upload like last time. You never know when you are going to have power outages, internet interruptions, or just the business of the day slipping by. I appreciate the extra hour but it still throws me off :( Those squares look amazing! I am new on this adventure of being vegan and have found it a lot of fun learning new things; however I just learned about the whole honey thing. I love it so much now I’m a little distraught. Did you ever have struggles giving up something you really loved while going vegan? I’m not sure what exactly I did with the extra hour..it just seems like my days been really slow because I got everythind done by lunch time! Yum yum! 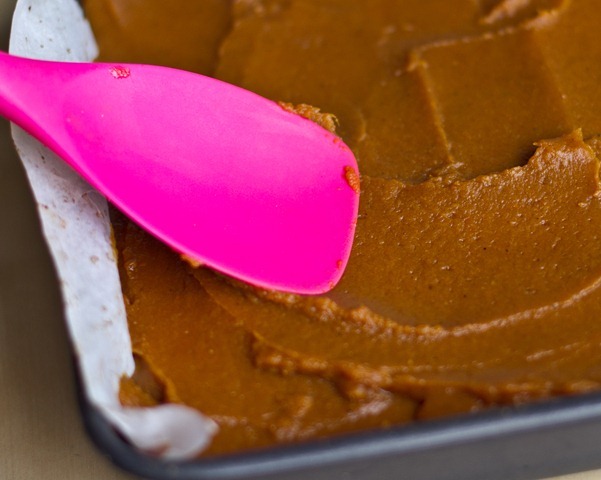 Pumpkin butter is one of the best condiments ever. I ran the Susan G. Komen Race for the cure.. i love races because everyone is so supportive & happy. It really makes your run speed by & it makes you get up early & accomplish the day! I was able to spend more time cleaning up the house: laundry, dishes, cleaning floors, vacuuming, dusting, etc. It was nice to have extra time to get everything “extra” clean. I have yet to make either recipe that you posted that call for candied nuts… But, I have made the nuts twice! Glad to hear about your uncle doing better! I can’t wait to see your post! I’ve been looking forward to it! p.s. I saw on Twitter that you have Christmas music on… that makes me sooo happy!! Those look like a great mix of different textures! I spent my hour sleeping! Couldn’t have thought of a better way to spend it…besides baking something as delicious as these. My extra hour was sleep. I love that roller that you use for the base of the bars, how handy. Oh my goodness………. You’re a genius! oh my – what a wonderful flavour combination! My whole family loved the batch of your strawberry oat squares I made last week!!! Yup, this is totally starred & I am making these for Thanksgiving. Thanks! I used my extra hour to do some reading…something I rarely have time to do. Glad you had a great day! Oh, and I’m counting the days till your video! Those remind me of the Kashi pumpkin bars…but much more appetizing looking. It would take all my will power to save some for a gift as well. And I used my extra hour to snuggle my daughter. She still woke up at her normal time and so I brought her into bed with me to cuddle. They look great, I have finally found a shop that sells canned pumpkin, but, you are only allowed to buy 2 cans, due to the demand and a pumpkin shortage. i will try this recipe of course ! Your pictures looks amazing… and you have nice kitchen ustensils ! These look fantastic, as usual. I had several conversations with other bloggers this weekend in which we agreed that your recipes can do no wrong. They’ve always got me salivating the second the page opens! My extra hour is going to disappear due to the California to NYC time change :/ I did enjoy the extra sleep last night though!! Hope you’re having a great end to your weekend! Yum! Those look amazing :D I made the apple streusel oat bars last week and they were gone in record time and I could only imagine how much my pumpkin loving family would love these. Thanks for the recipe and I can’t wait to see your video next week! I am officially drooling at my computer screen! I was on an airplane for my extra hour today! I don’t really have an issue with baked goods in the house anymore and I think this is due to two reasons, 1) I don’t restrict myself and don’t say ‘I can’t have any’; therefore I eat in moderation when I want some, and 2) its always around so it doesn’t feel like I have to eat all of it b/c I know it will be there tomorrow and the next day…does that make sense? I wish we could get an extra hour every day. I’ve been waiting for this time change for several weeks now and I’m so glad it’s here. Now I’ll be able to fit in early morning runs again… I’m just no good at afternoon/evening runs and they almost never get done. I spent the extra hour stretching and then went for a brisk walk before church. After my half marathon yesterday I was feeling awfully stiff and tight and I would have been walking very strange for most of the day if I hadn’t been able to fit in the stretching and walk. Thank you so much Kim for such kind words! These squares look sooo good! Your recipes never fail to make my mouth water. Can’t wait to try these! these look incredible….they need to fly over through the sky and into my mouth. gahh. The picture of the strawberry bars has inspired me to whip up a batch when I should be going to bed soon… but they just look so delicious. Mmmmm pumpkin! Did I miss the smore in a jar from the road trip challenge? I slept… then celebrated! 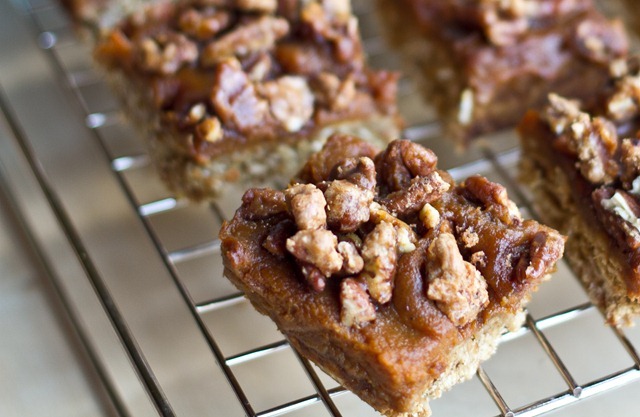 Those oat squares look delish. This sound perfect, can’t wait to try them! i’m sure the video and post is perfect! Can’t wait! These bars look so good. I can’t get enough fall baking. 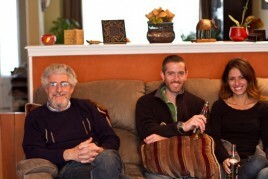 Now, enjoy some down time with your hubs! these look even better Angela …How do you do that!? The extra hour this morning let me get up a little bit earlier than usual to bake up some snickerdoodle cookies for a bridal shower. I’m never a good baker and these came out perfect! I LOVE candied nuts. 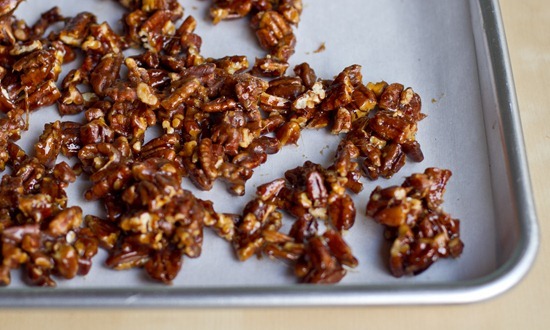 I am not really a raw nut, plain nut, salty nut girl…but candied. Now we’re talkin’! 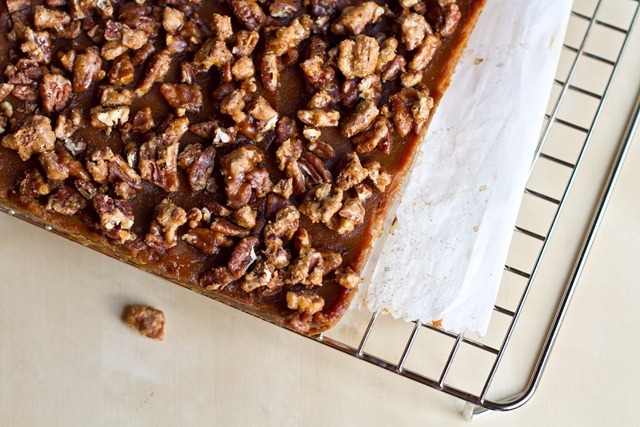 Gorgeous pics and this recipe sounds… amazing! I love candied nuts. AHHHHH Im soooooo happy you posted this!! Last time I was at Trader Joes I bought some of the Pumpkin Butter and told my mom how I have heard so many people RAVE about it…yet I had no idea what to use it in!! Now I have a great way to put it to use!! 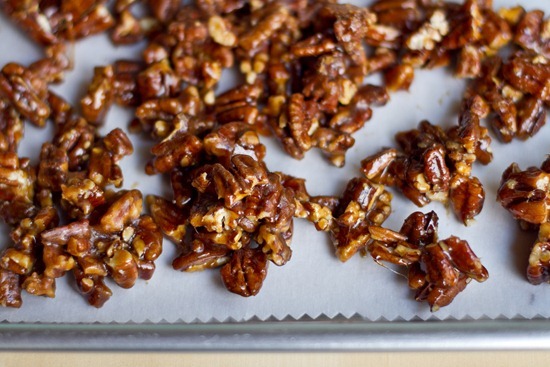 Those candied pecans look amazing! 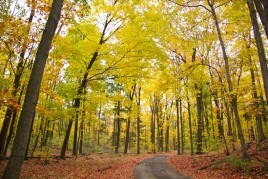 I took advantage of my extra hour by “sleeping in” which really wasn’t sleeping in and going on an amazing long run! [i got work done on my extra hour, and cooked. me + rice = fail]. I got up and tidied the house and hit the gym feeling refreshed. I definitely needed that extra hour. Ok….THESE take the cake. Seriously though, Angela, every time you come out with something even more amazing. How do you do it? :) No extra hour for me here in Australia. IF I did have that extra hour, no doubt I would have enjoyed an extra hour of sleep (couldn’t settle last night). These look amazing! I would have had trouble not eating them too. I bet your friend will LOVE them. 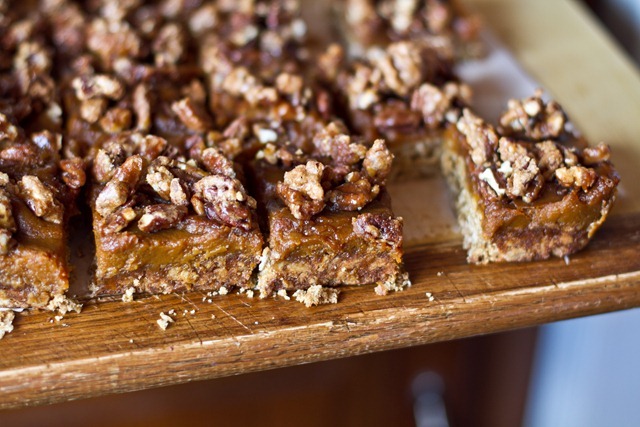 I so have to make these and your pumpkin butter! I went to mass and then dinner at the in-laws! Loved the extra hour! These oat bars might be the perfect thing for me to bake for my students. 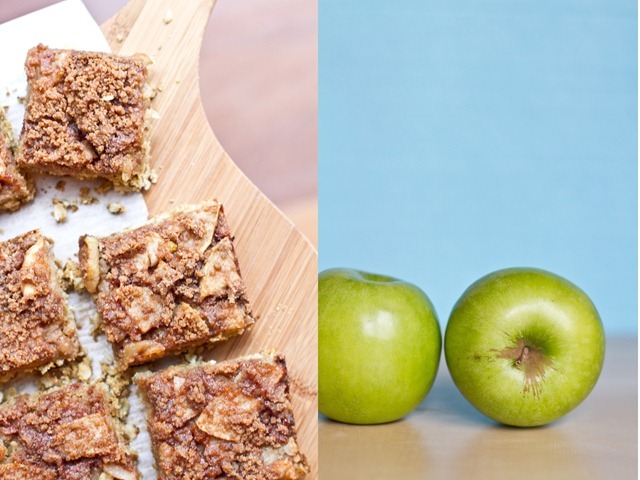 Our school has had a complete nutrition overhaul and I want to bring in something healthy and delicious to prove how tasty healthy treats can be! I made the oat squares this weekend for the first time. I had about 15 plums from my CSA box that needed to be used, so I made plum butter. It turned out really good, I added cloves. 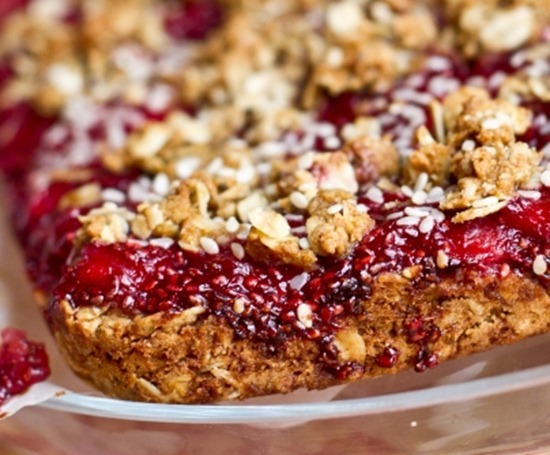 With the oats and the crunchy topping – it was just perfect. Thanks for the great recipes! 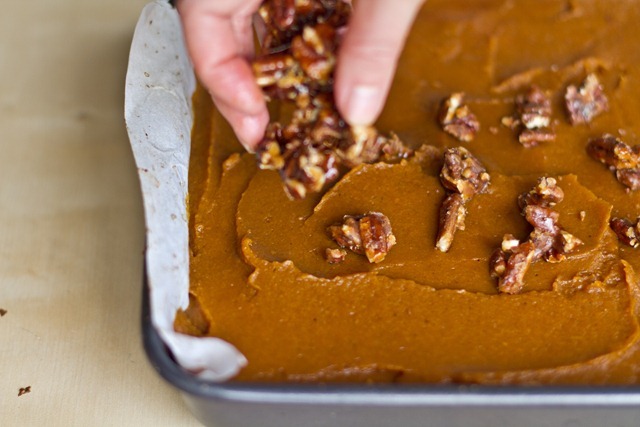 I am addicted to your Pumpkin gingerbread! I’m going to have to try this! I made the cinnamon apple ones and everyone loved them! Pumpkin sounds GREAT! That pumpkin butter looks so fantastically rich and thick! Beautiful! Those look delicious! I really want to try making my own bars, and these may just be first on my list! I hate the change in time and dread it…well twice a year! It always messes me up. I’m sick, so at least thankfully this year it didn’t really affect me as my sleep is already disordered right now! Oh my gosh! This looks absolutely heavenly! I can’t find your post from your dinner last night,regarding your stir fry. I made it tonight and it was a hit. We scraped the pan clean. Thank you! I am really enjoying your website. Thank you for being so honest. You are helping me and so many others. Keep shining your light! Angela, you are such an inspiring person. 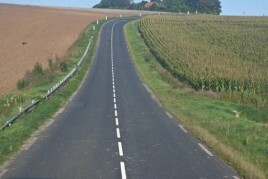 I read your blogs almost every day and I love how you share your stories on your road to health. Many women like myself struggle with weight issues, low self-esteem and thinking food is the enemy and you sharing your story is a reminder that we CAN be healthy and happy and love our food! You’ve not only made food fun, but also nutritional and energizing. I love your recipes and how you follow a vegan diet, as do I, and your recipes and blogs are a blessing. Thank you so much for allowing others to know they’re not alone and that there is hope. I wanted to make these, but do not have chia seeds. Do you think a flax egg would work in place? Hi Katherine, I’m not too sure! I would suggest reading through the comments to see if anyone has mentioned using this swap. This may be a ridiculous questions, and since the last person to post was in 2010 this might not even be seen, but I’d like to try this recipe and I’m not sure what “regular” oats are… does that just mean not any kind of quick/instant oat but rather the large flake kind? 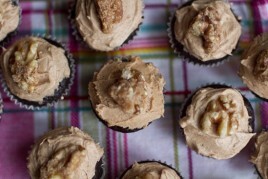 I’d appreciate feedback from anyone who’s made this recipe with success! 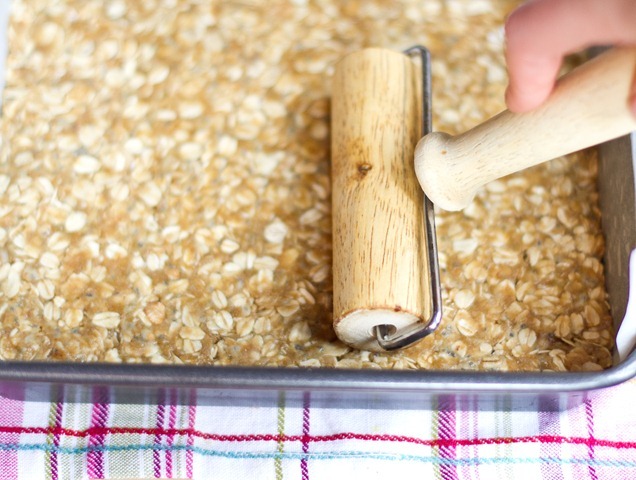 Angela, do you think I could use quick oats instead of rolled oats in this recipe? I was wondering which Earth Balance product you used for the oat base. The link shows me all the products they offer. Thank you very much! Hi Nayla, I use the soy-free butter spread. I expect any of their varieties should work okay though! Hope this helps. I made these bars for Thanksgiving this year and, as suggested, reserved half the oat base for a second layer over the pumpkin butter. Every mouthful was a reminder of all things fall: toasted pecans, maple, spiced pumpkin; a lovely treat! My only difficulty was that all the layers made it really difficult to ‘set’ into a bar that I could cut. I ended up scooping it out more like a crumble. Next time, I think I’d use a bigger dish than a 9 x 9 to really get that firm bar consistency.